Waves were the biggest thing on the red carpet at the Golden Globes this year. Oh, and there was big hair, too. Regardless of style, however, there was a common theme that clipped them all together – movement. Of course, with all the hair spray that was used that night, the hair didn’t move – but it looked like it could have. Here’s a virtual walk through the salon. Get your own cappuccino and air kiss the person next to you, before beginning. Sofia Vergara kept it sleek but not stiff - and that side sweep does the job of a necklace, with a strapless dress. I didn't love Jessica Chastain's Givenchy dress, but I thought her hair was the perfect balance between done and natural. It looked great from behind, also. This is what I mean by acting your age. I loved that Zoeey Deschanel went for it, with a big 60s 'do and makeup. She didn't dress like a 50 year-old. Loved how Laura Dern's soft curls offset her bottle-shaped Andrew Gn dress. Andrea Riseborough's Renaissance-y curls matched the historic references in her Westwood dress. 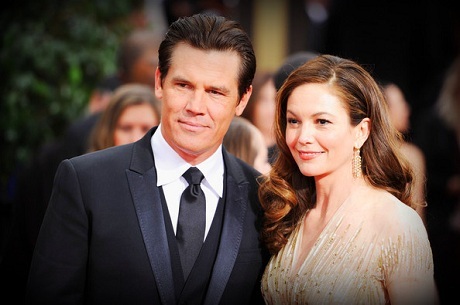 Old-world Hollywood couple, Diane Lane and Josh Brolin kept things classic. Julie Bowen should have gotten the Golden Globe that night for best transformation. She looked lovely and feminine and the hair suited her so much, don't you think? Dianna Agron's whole ensemble that night was simply, a work of art. She was one of my picks for best-dressed. 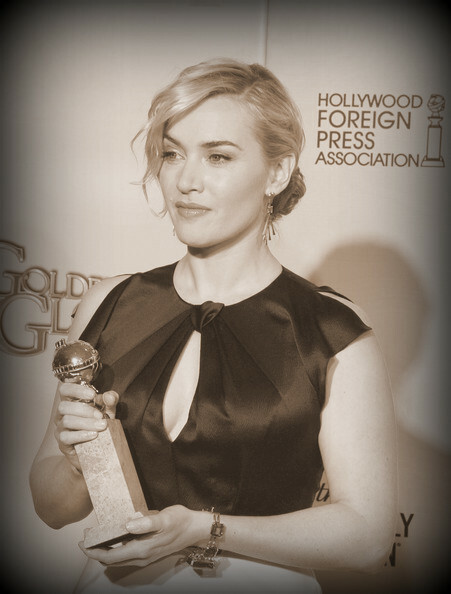 Ms. Winslet's soft locks seemed to belong to one of her many Victorian heroines. The dress had far too much going on, but I loved Charlize's soft updo and diamond headband. 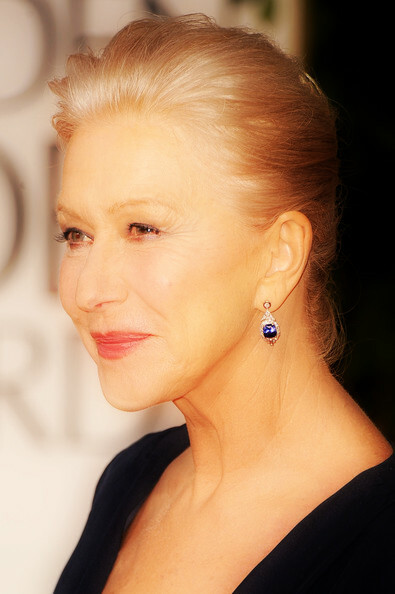 Sophisticated, without being austere, Ms. Mirren is chic in a chignon. Rooney Mara stays true to her sleek pony. It shows off her cheekbones so perfectly, after all. Then there are those, who march to the beat of their own drum - in another land, far, far away. 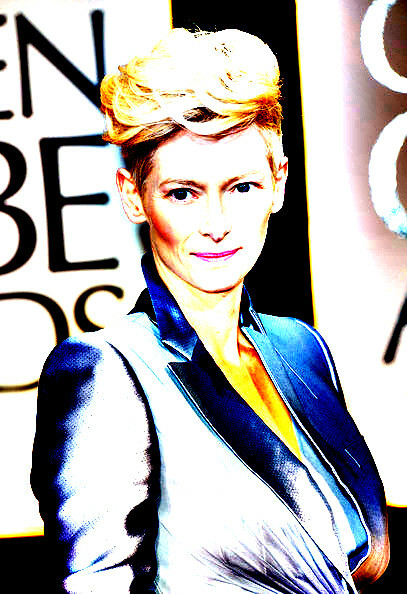 Ms. Swinton, doing what only she knows how to do. 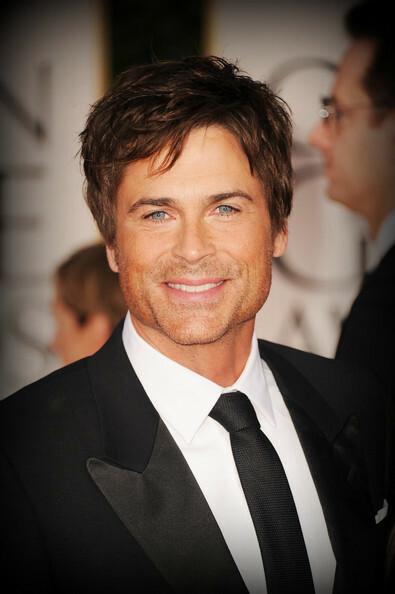 Compare to Oscars hair: Oscars 2011: Hair Apparent. See more Head Cases like Charlize. Images have been edited and modified by yours truly. Original source photos are as follows: Vergara, Chastain, Brolin/Lane, Bowen, Agron, Mirren, Mara, Lowe photos by Frazer Harrison/Getty Images North America; Deschanel, Hayek, Riseborough, Theron, Swinton photos by Jason Merritt/Getty Images North America; Dern, Winslet photos by Kevin Winter/Getty Images North America.